Distribution with an independent copula used to generate the set of input data. Number of points that will be generated in the experiment. Flag to tell if the shuffle must be regenerated at each call to generate or not. Default is False: the shuffle is generated once and for all. 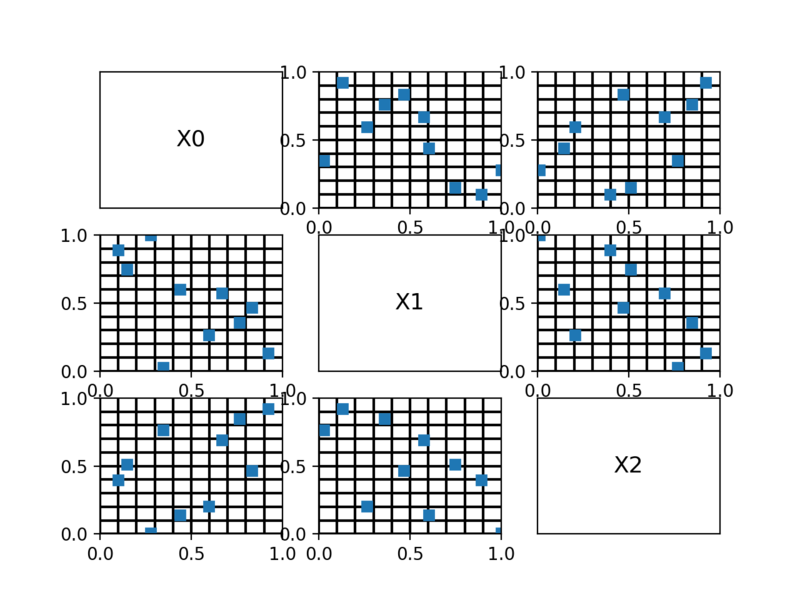 Flag to tell if the point selected in each cell of the shuffle is the center of the cell (randomshift is False) or if it is drawn wrt the restriction of the distribution to the cell. Default is True. LHSExperiment is a random weighted design of experiments. 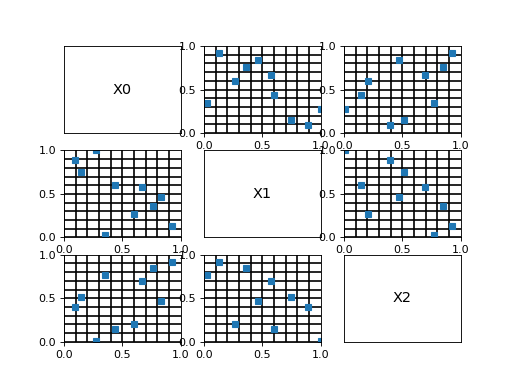 The method generates a sample of points according to the distribution with the LHS technique: some cells are determined, with the same probabilistic content according to the distribution, each line and each column contains exactly one cell, then points are selected among these selected cells. The weights associated to the points are all equal to . When recalled, the generate() method generates a new sample: the point selection within the cells changes but not the cells selection. To change the cell selection, it is necessary to create a new LHS Experiment. ComputeShuffle(dimension, totalSize) Generate a new cell randomization for external use. getAlwaysShuffle() Cell randomization flag accessor. getShuffle() Return the cell randomization. setAlwaysShuffle(alwaysShuffle) Cell randomization flag accessor. Generate a new cell randomization for external use. Number of points that need to be shuffled. For each point, the indices of the shuffled components.